As a California girl, my favorite thing about living on the East Coast is Fall. 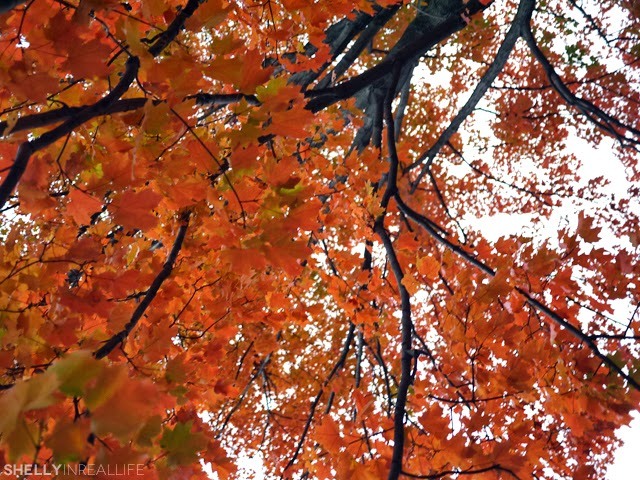 Fall is when the trees that you've seen for the past few months take on a different personality and transform in front of your eyes, from a lush green to a vibrant red, cheery yellow and a few other colors in between. 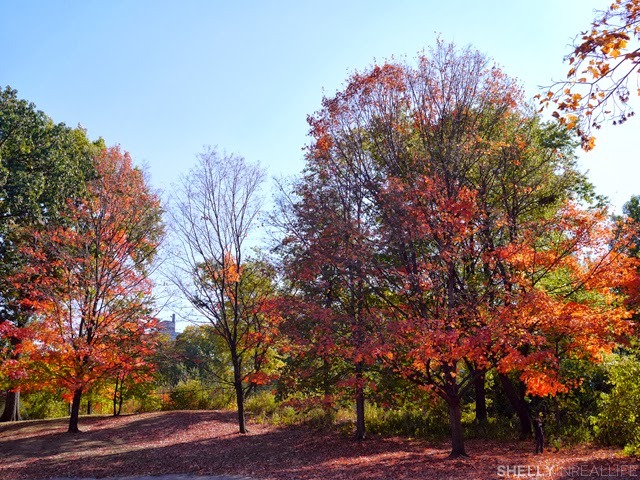 Last year, I started looking for fall foliage way too late in the game and by the time I tried to see the leaves change colors, they were already all fallen off the tree. This year, I made sure not to miss it, and I'm glad I didn't. 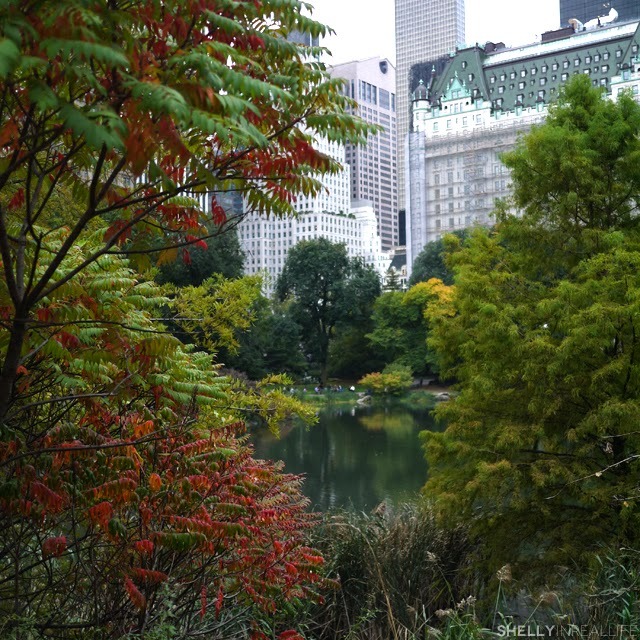 This past weekend, I went exploring Central Park with J and another friend to see this beautiful sight. 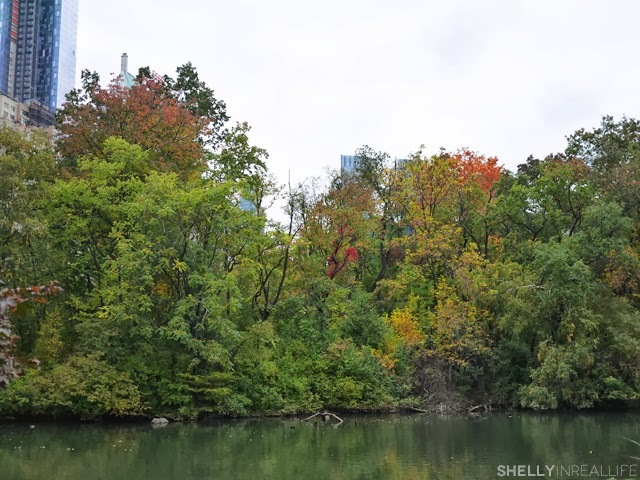 We started off exploring the south part of the park at 59th Street and 5th Ave and noticed that not too many trees have changed colors yet. 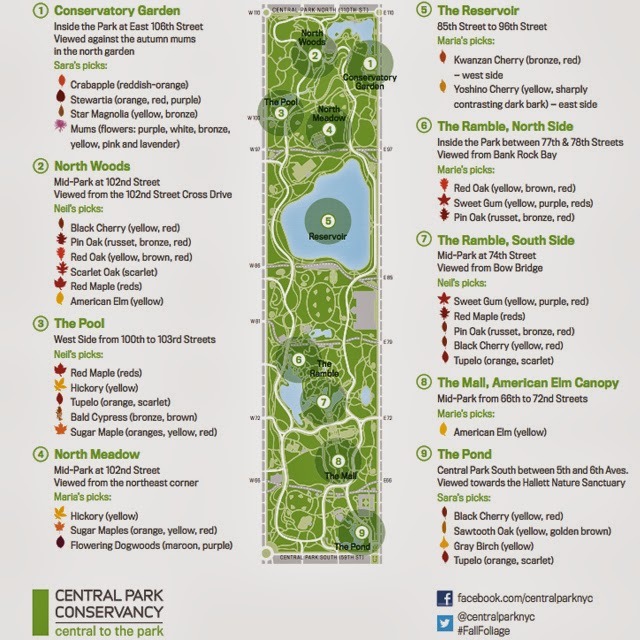 We actually had a very handy map with us that showed us where the Central Park staff thought the best places to see the foliage. As we continued up, we started to notice a few more, but not many. 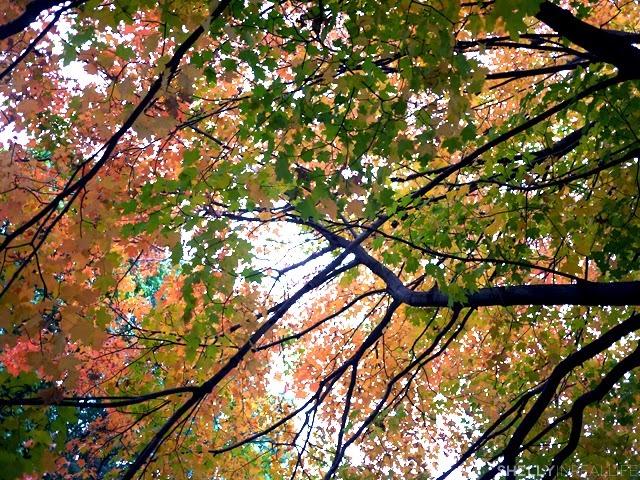 Which is good for you since this means there's still time for you to catch the leaves before the fall off. 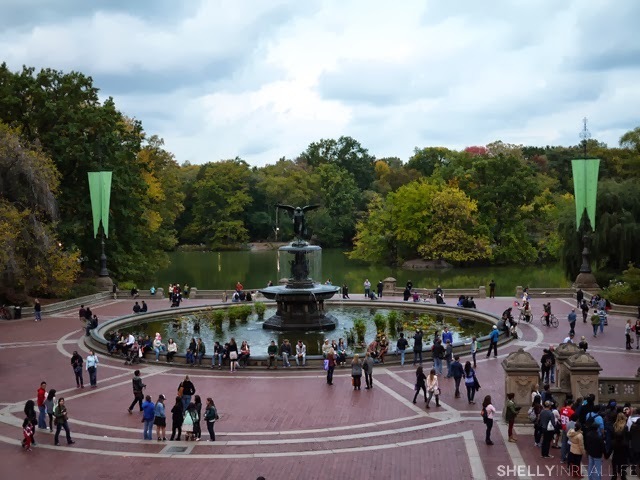 Anytime you explore Central Park, there's interesting sights to see and interesting things going on. During our walk, we noticed this model in an animal print body suit, doing the splits and and holding a cat. She must have stayed in that position for at least 10+ minutes. 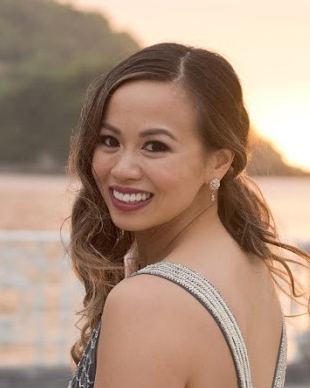 Mad props to her. 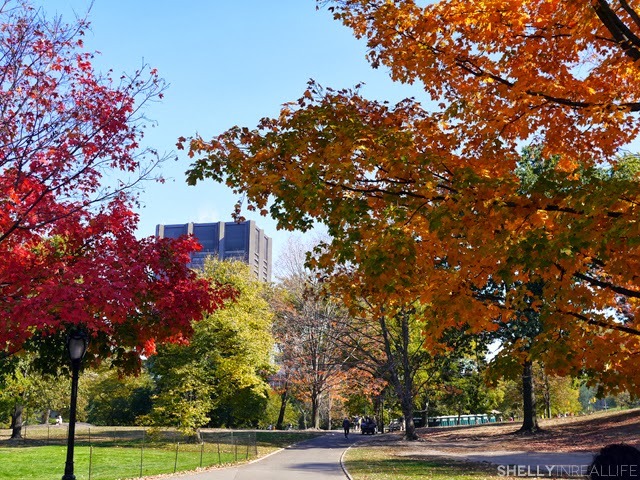 As we continued to wander up closer to the center of the park near Bethesda Terrace, I started to notice more and more bright red trees. 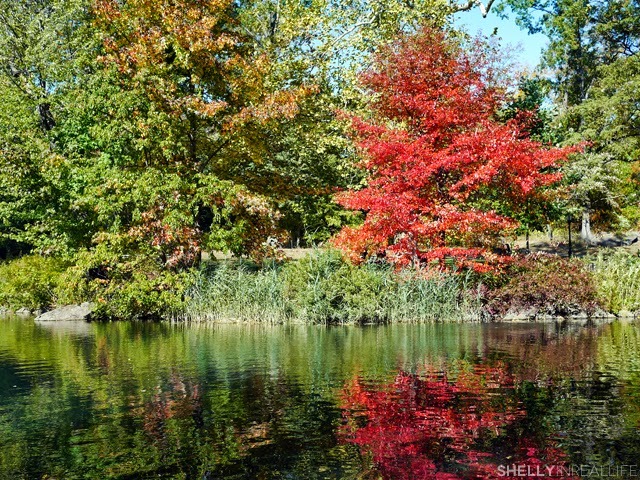 Since we're catching the change at the beginning, it's beautiful to be able to see the leaves in the different phases of color change on the same tree. In case you somehow wandered here looking for pictures of Barbour jackets, J is wearing a Bedale in Sage on the left, and T is wearing the Classic Bedale in Olive. 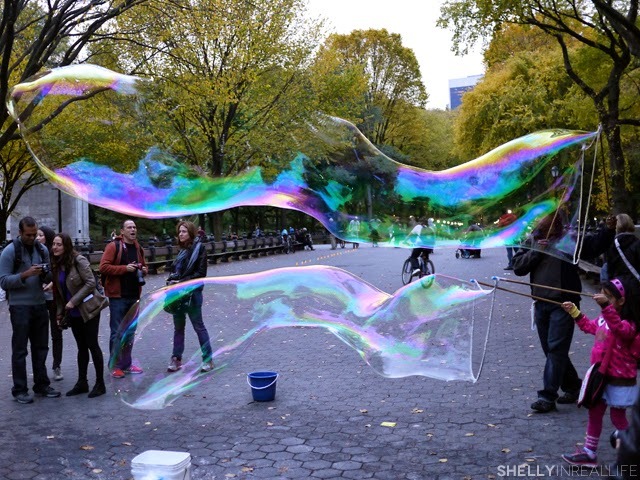 It's so fun people watching in Central Park and even more fun watching these people make ginormous bubbles. 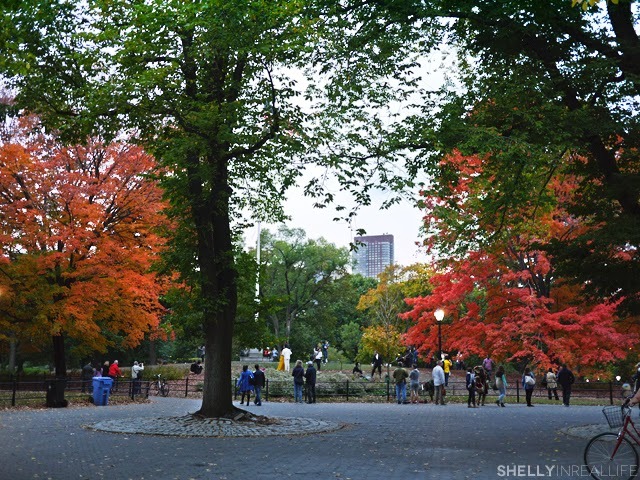 So that was Saturday at the lower park of Central Park. 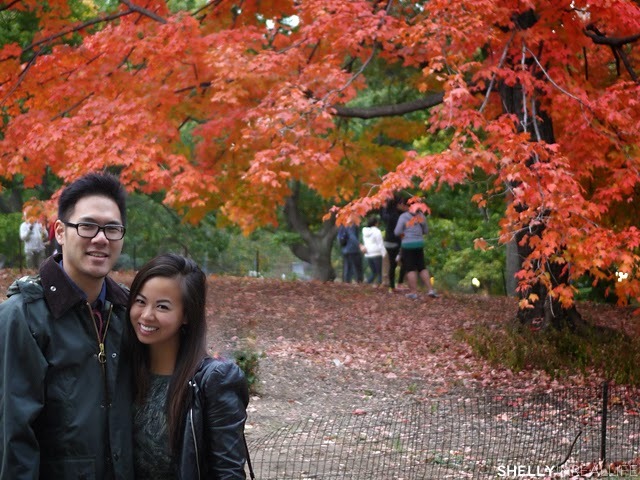 Since I'm so obsessed with Foliage, we made another pit stop in the north part of Central Park after brunch today to see more leaves. This is taken at The Pool in the West 93rd Street area of the park. Crazy to explore these areas as I've never see these parts of the park! 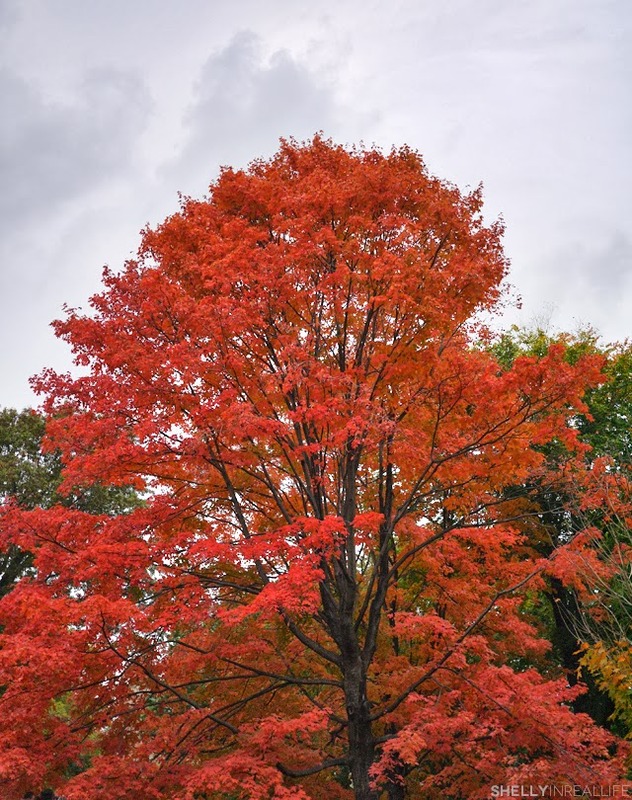 On our walk from the West side of 97th to the East side, we saw a few more vibrant trees. As you can see, there are still quite a few green trees, so I suspect that the leaves will be changing colors soon. 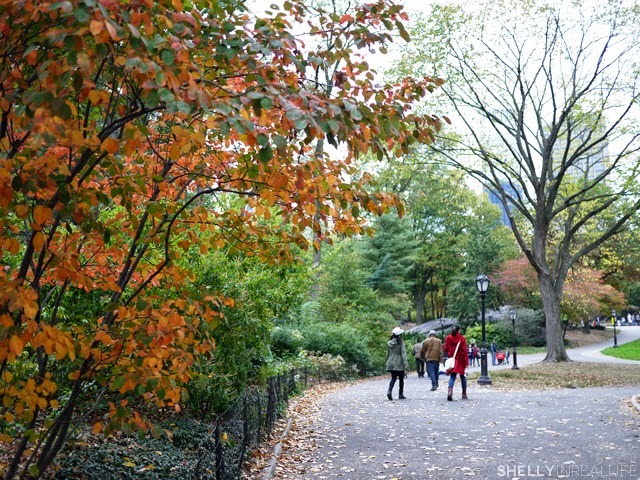 You'll still have at least another week to go explore in the park before all the leaves fall off. 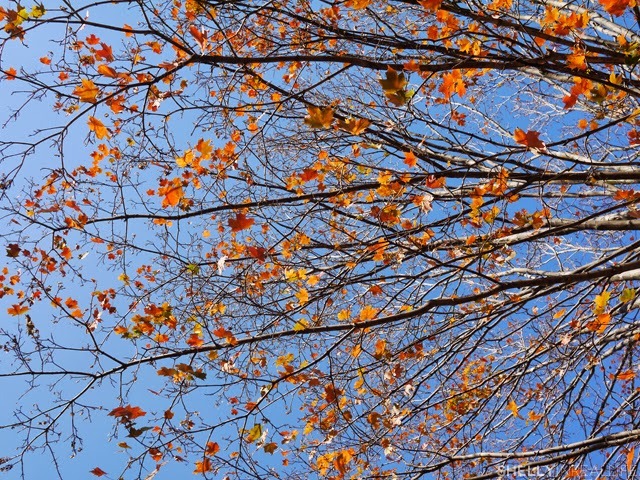 In the photo above, there is already one completely bare tree, so don't wait too long before you visit!